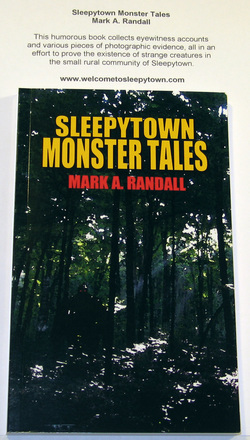 ﻿ITEM #1: "Sleepytown Monster Tales" Bigfoot, Turkey Cobra, the Monster of Lake Augustine, Thunderbirds, the Goblins of Bouffarot Caverns and the Damenport County Claw Monster are just a few of the strange and unusual creatures that have been reported in Sleepytown over the years. Through first-hand testimony and actual photographic evidence, you will conclude that monsters really do exist. ﻿ITEM #2: artist: " I have always had a fascination with quirky characters and odd stories. Combining these elements with my love for rural America, the paranormal and squirrels, has allowed me to create my own unique world." "Welcome to Sleepytown" -- Humorous stories about a small rural town, its quirky residents and the high strangeness that seems to be everywhere (ghosts, UFO's and Bigfoot). 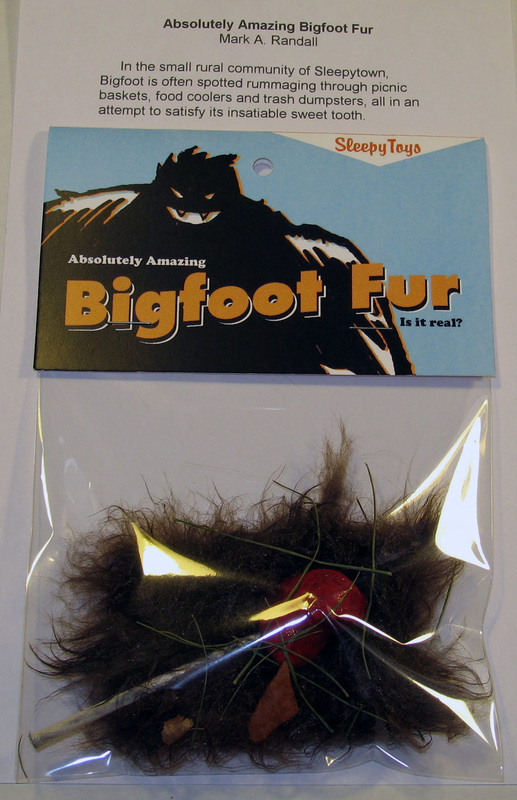 ﻿ITEMS #3, #4, #5: "Absolutely Amazing Bigfoot Fur Toys" - Look Closely.. they are all different and unique! The first one is fur with gum stuck in it. The second from the left is fur with hard candy and the last one is fur with a lollipop stuck to it. 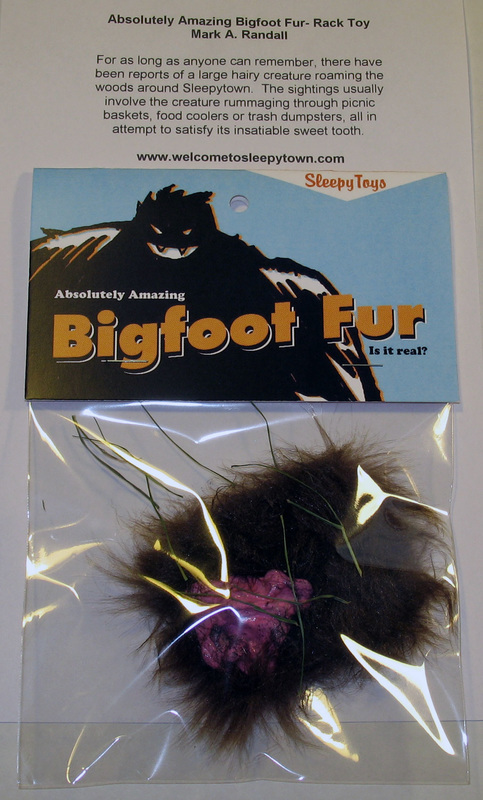 In Sleepytown, Bigfoot sightings usually involve the creature rummaging through picnic baskets, food coolers or trash dumpsters, all in an attempt to satisfy its insatiable sweet tooth.